School, then served as an assistant at Little Chute for the past five seasons. Miron is not only moving back into a varsity role, but as a head coach as well. 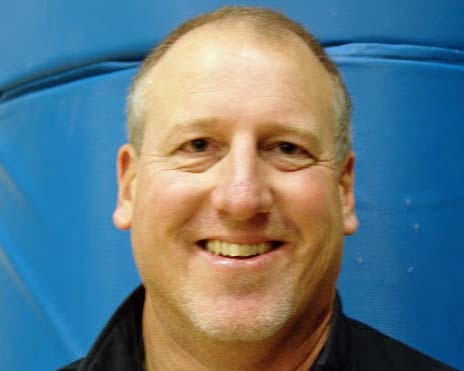 Miron will take over as head coach of the Ashwaubenon Jaguars, replacing Kevin Phillips who resigned back in May after going 88-73 in seven seasons at the school. Miron won back-to-back state titles at Kimberly in 1994 and 1995. He helped Little Chute to a pair of WIAA Division 3 state tournament berths most recently. Ashwaubenon has been to the state tournament just once, losing a quarterfinal game in 2006 under then, head coach Jeff VandeLoo. La Crosse Aquinas knocked off top ranked Little Chute, 61-51 in the WIAA‘s Division 3 boys semifinals at the Kohl Center this morning. Wisconsin recruit Bronson Koenig finished with 14 points. Junior forward Parker Weber made 8 of his 11 field goal attempts to finish with 18 points and a game-high 9 rebounds. Little Chute saw its season end at 25-2. Turner Botz and Kenneth Lowe scored 19 and 13 points respectively and led the way for the Mustangs. Botz and Lowe will play collegiately next season at UW-Green Bay. The Blugolds (23-4) will face the winner of East Troy & Lodi in Saturday’s championship game.